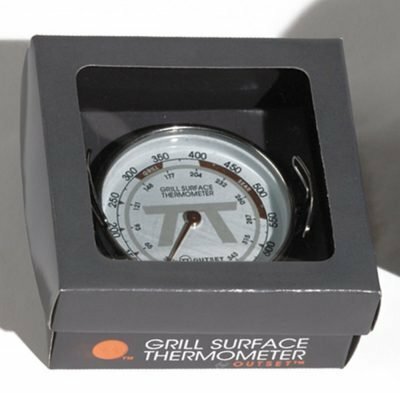 A grill surface thermometer sits right on top of your grill grates to take the guesswork out of grilling. 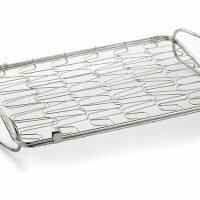 By moving it around your grills grates you can easily see your hot and cold spots. Making for more precise cooking. 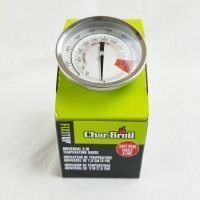 The handles on both sides of this grill surface thermometer are great when you want to move it around your grill. 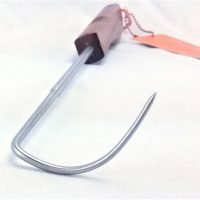 You can either grab it with your tongs or push it around with your spatula. 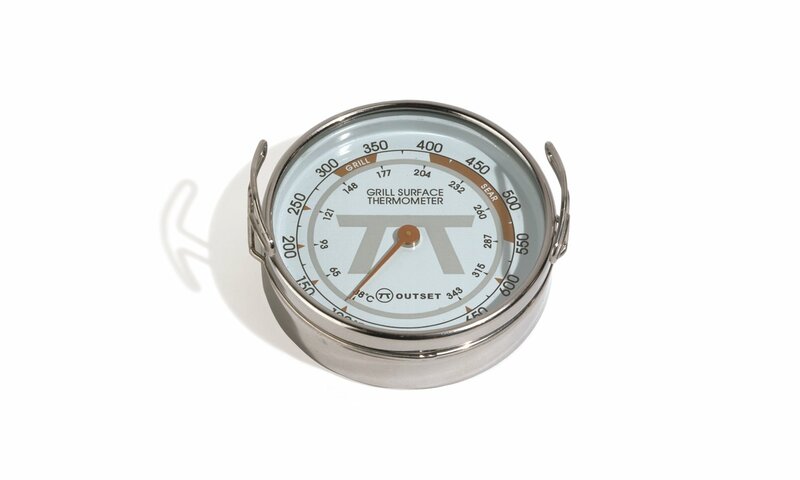 This grill surface thermometer has an easy to read temperature scale: from 100 to 650 degrees. Do not worry about overcooking this thermometer, it is built to withstand the heat and grime of the grill. 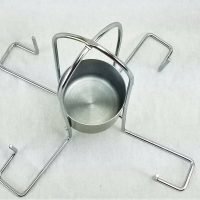 It measures 2.25 inches in diameter and the handles can also be used for mounting it under your grill grates if you want. The Outset grill surface thermometer was featured in the Ladies Home Journal. You will occasionally will want to clean your new grill surface thermometer we suggest only wiping the bottom off with soap and water. 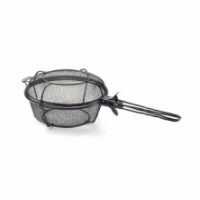 While built to repel water it should never be submerged under water, placed under running water and never put it into your dishwasher. Most lower end grill surface thermometers come packed on a piece of cardboard in a plastic bubble. Not this one It comes in a handsome cardboard package with a clear lid and re-closable top. 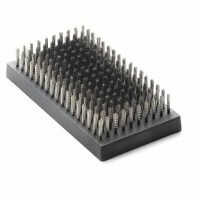 It can easily be used for storage and it will make a handsome gift. 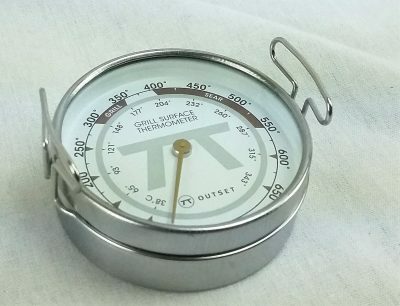 This thermometer can also be used indoors in your oven in a pinch. Really anywhere the temperature gets over 100 degrees and is not wet. 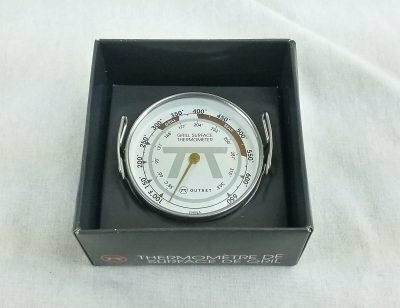 We would not suggest use of this thermometer in a smoker, the hot moist air may damage it and the smoke would certainly obscure the glass lens in a very short period of time rendering it useless anyway. 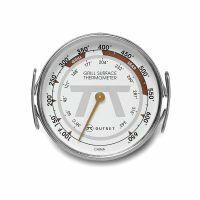 If you want to learn more about the heat zones of a gas grill read this.